The Princesse Grace Academy is now part of the family of Prix de Lausanne Partners. Our Prize winners have the opportunity to study there. “For almost a century, dance has played a major part in Monaco. The concept of a touring company arose due to Diaghilev and his Ballets Russes, for whom Monte-Carlo was the creative studio. In 1975, the Académie de Danse Classique was founded in the Casa Mia villa, which was bought specially for that purpose by the government. It was created according to the wishes of Princess Grace and Prince Rainier III to give Marika Besobrasova a facility where she could develop her teaching. Hired by the Ballets de Monte-Carlo at the age of 16, where she worked alongside Mikhail Fokine, Marika Besobrasova began teaching in 1939. She created the Ecole de Danse Classique de monte-Carlo in 1952. This classical dance school would be attended by many famous personalities from the dance world. Rudolf Nureyev regularly went there to work, as did Eva Evdokimova, Marcia Haydée and Yoko Morishita. The creation of the classical dance academy along with a boarding school enabled Marika Besobrasova to cater for students of all nationalities. Consequently the Principality had a major professional trainig school, as wanted by Princess Grace, as the beginnings of a permanent ballet company. The education at the Academy is multi-disciplinary and includes classical, conteporary and character dance classes, musical education, art and theatre history lessons. With the assistance of a Director of Studies, general studies up to baccalaureat level have been provided for French and Italian students with support given for other nationalities following qualifications awarded in their country of origin. 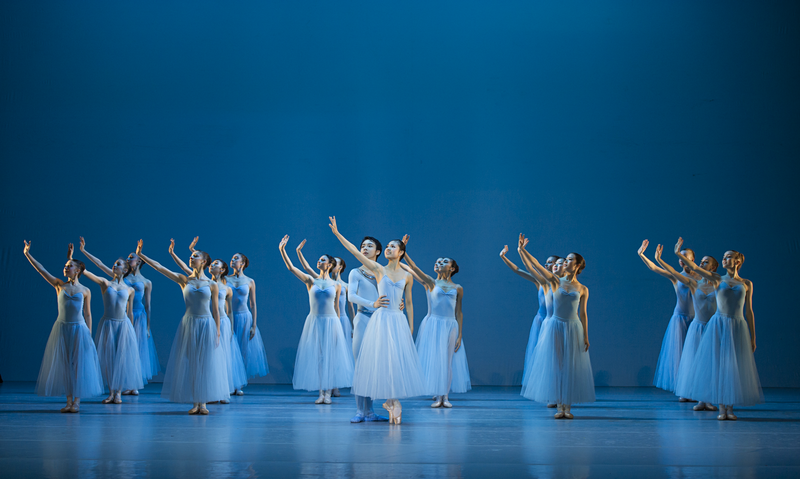 Since its creation, the Académie de Danse Classique Princesse Grace has trained several generations of dancers, many of whom have become soloists or principal dancers with renowned international dance companies. In August 2009, a new board of trustees, presided over by H.R.H. the Princess of Hanover was appointed by the Prince’s government to manage the Academy which has been renamed “Académie de Danse Princesse Grace”. Appointed director in September 2009, Luca Masala is now responsible for maintaining the quality of the classical instruction while opening the Academy up to the various influences of modern-day dance. In September 2011, dance experienced a major change in Monaco, a change that will benefit the Academy: under the presidency of H.R.H. the Princess of Hanover, the Ballets de Monte-Carlo now incorporates the Ballets de Monte-Carlo Company, the Monaco Dance Forum and the Académie Princesse Grace under a single organisation. This operation is managed by Jean-Christophe Maillot and unites the excellence of an international company, the benefits of a multi-format festival and the potential of a high-level school in order to create a centre in Monaco which brings together all activities focusing on the choreographic art.